Moments of Mommyhood: Lots Of Awards! This first award is from my friend Heatherlyn! She is amazing! She always has a positive attitude! Go visit her please:0) Thank You Heatherlyn! The next award I received was from Momma Young! She and I are fairly new to each other, but I really like her! 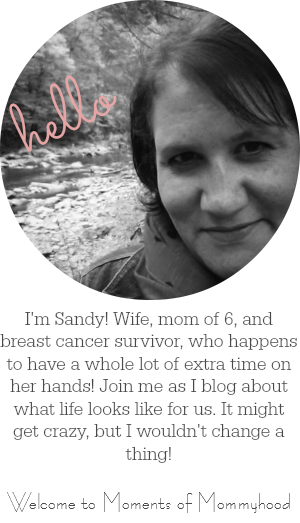 Her blog is full of great stuff so you should check it out:0) Thank You Momma Young! This last award was given to me by one of my best bloggy friends, Vickie! She is the kindest person, always makes me laugh and I sure wish we lived closer so we could hang out sometime. Maybe she could teach me to scrapbook:0) Thank You Vickie! Congratulations on your many awards! Your blog is wonderful and I love coming to visit! Congrats on all the awards!! You deserve them!! Congads!! I enjoyed visiting your site and the others. Hugs back to you!! Thanks for the fun!! Woo Hoo...go Sandy!!! I'm so proud of you for getting recognized with all the awesome awards!!! Enjoy! Hi Sandy. You do have such a cool blog. ANd what fun awards too. Have a great weekend. Glad to have met you too. Way to go SANDY!! That is soo awesome and you so deserve it!! Congrats on all your great awards, Sandy. I love your blog as well. Keep it up, girl!! Wow, you just got hit with a bunch of love today!! You deserve it! Well you deserve em. Congrats! Congrats on your well-deserved awards. You rock!